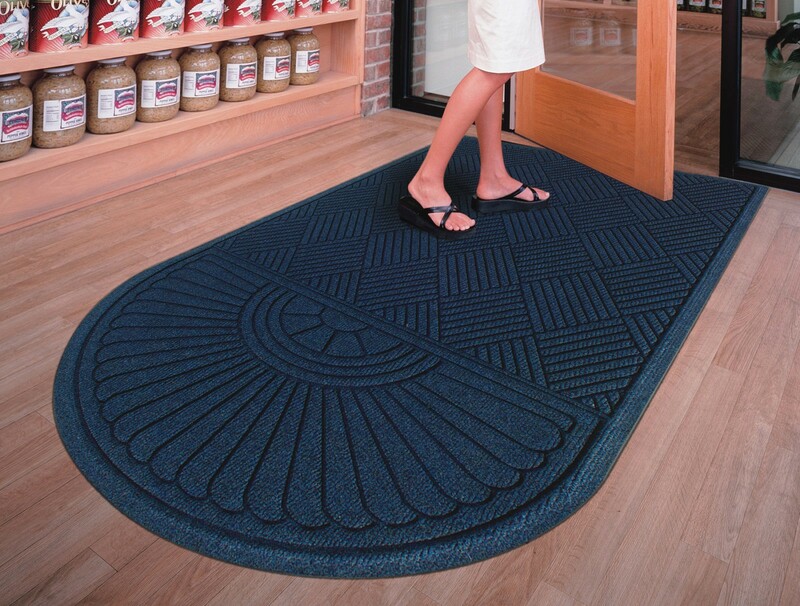 Made of 100% Post-Consumer Recycled PET Polyester reclaimed from plastic drink bottles, this attractive new mat combines years of WaterHog bi-level cleaning technology with the most unique design concept ever! 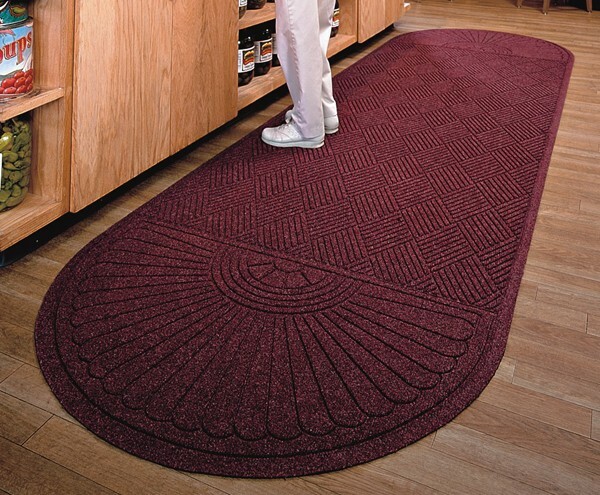 Who said a mat has to look like a "door mat?" Not anymore with these attractive diamond pattern mats! Great for Malls, Banks, Hotels Offices, Restaurants, Healthcare, Supermarkets, and more! 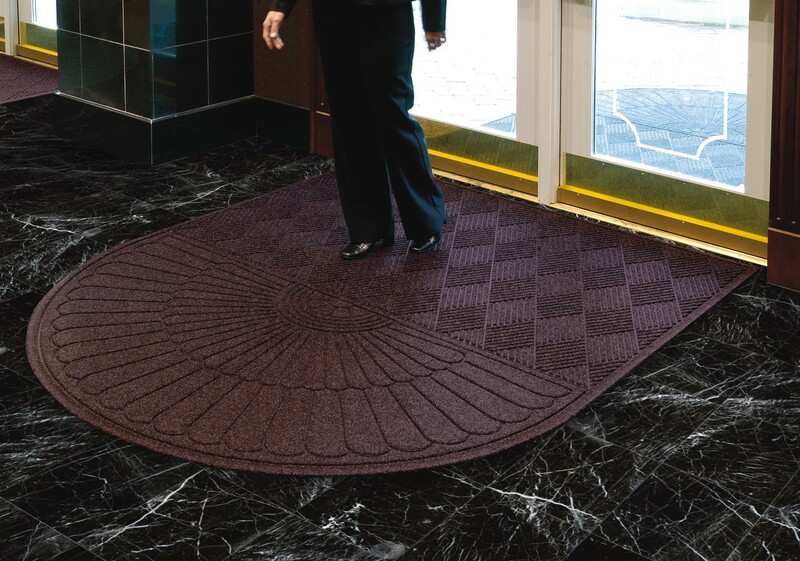 Entrance Scraper-Wiper Indoor or Outdoor Matting. The ends that are the rounded end of the mat. Some mats have two rounded ends. The application of the mat will determine which you need. If the mat will be directly against an entry door, you would only need one rounded end and the flat end will go against the door.